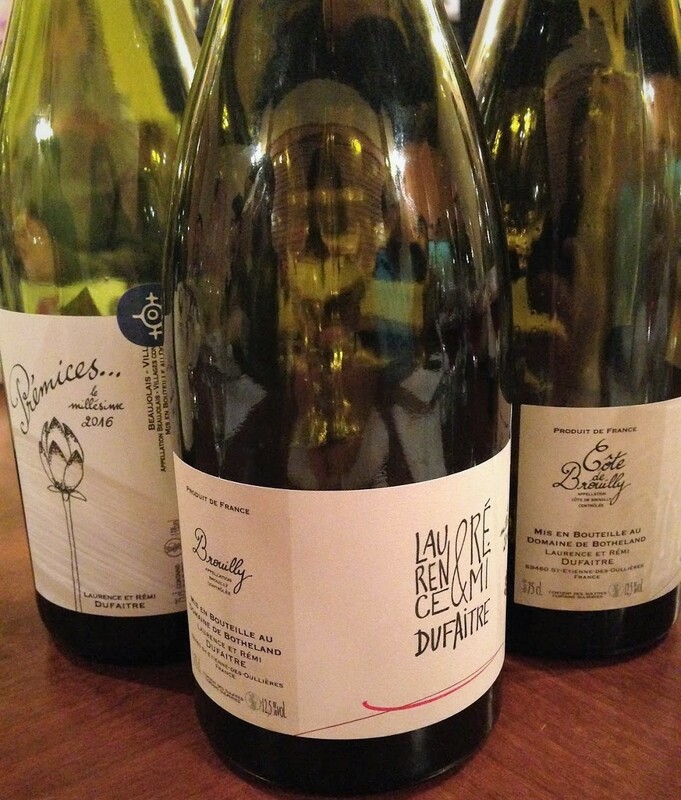 Based in Saint-Étienne-des-Oullières, Laurence and Rémi Dufaitre began working their first hectare of vines in 2001, initially selling the fruit to the local co-op. They started making wine and bottling it under their own label in 2010. Today their holdings, which include the former Domaine de Botheland, total around 12 hectares, one of which is planted to Chardonnay. Inspired by Jules Chauvet and his disciples, especially Jean Foillard, the Dufaitres use organically farmed grapes that undergo carbonic maceration and are given long, naturally low-temperature fermentations with indigenous yeasts. Chaptalization, filtering and fining are strictly avoided. When used, sulphur dioxide is kept to a minimum. 100% Gamay from 35-year-old vines grown in the granite, sand and gravel soil of a plot named Prémices. Carbonic maceration lasted 16 days. Fermented and matured in concrete tanks. No added sulphur. Bottled in February 2017. 13% ABV. Quebec agent: oenopole. 100% Gamay from 60- to 65-year-old vines rooted in granite and volcanic soil. Carbonic maceration lasted 18 days. Fermented in concrete tanks. Matured in old 200-litre oak barrels. Bottled in March 2017. 12.5% ABV. Quebec agent: oenopole. 100% Gamay from 50- to 70-year-old vines rooted in granite and volcanic soil. Carbonic maceration lasted 18 days. Fermented in concrete tanks. Matured in used Burgundy barrels. Bottled in March 2017, a month earlier than usual. 12.5% ABV. Quebec agent: oenopole.